Introducing the Cedar Point Indoor Sports Complex: A year-round world-class, 145,000 square foot premier youth sports destination located adjacent to Sports Force Parks and Cedar Point Amusement Park. 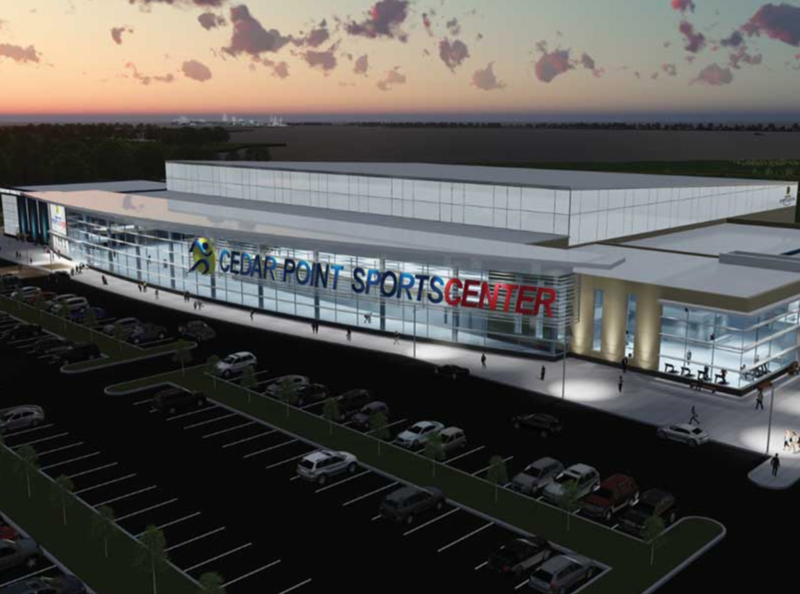 Together, the indoor facility and Sports Force Parks will give Cedar Point Sports Center the ability to host large tournaments for major youth sports like basketball, volleyball, cheer, dance, archery, wrestling, and more. This new 145,000 square foot sports complex features 10 full-size basketball courts which convert to 20 full-size volleyball courts. The facility features a championship arena with retractable seating. The complex will also feature a sports-medicine facility and the potential for a fitness area as well as a family entertainment center and second-level walking track.